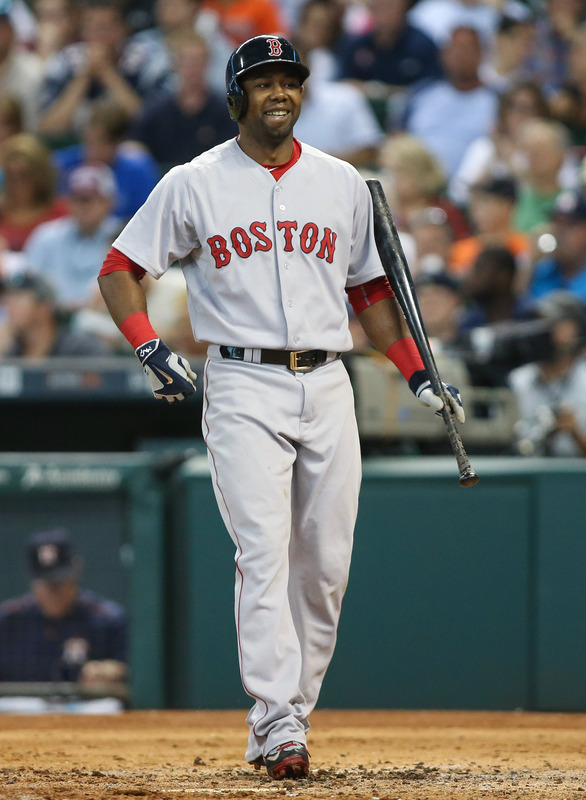 The Giants have officially acquired outfielder Alejandro De Aza from the Red Sox, Ken Rosenthal of FOX Sports first reported on Twitter. Lefty Luis Ysla will return to Boston in the deal, as Henry Schulman of the San Francisco Chronicle reported on Twitter. The Red Sox will pay $650K of De Aza’s salary in the deal, Jon Heyman of CBSSports.com tweets. Having agreed to a $5MM salary to avoid arbitration in his final year of eligibility, De Aza is still owed just under $930K the rest of the way. But Boston reportedly only took on around $1MM in total commitments to De Aza when it added him on June 4. With $650K said to be going with the veteran to San Francisco, it appears that the Giants will not be paying much (if anything) of the tab. De Aza, 31, turned around a sluggish start upon his move to the Red Sox. The free agent-to-be has slashed .292/.347/.484 over 178 plate appearances since that trade. Once an everyday center fielder with the White Sox, De Aza now profiles more as a platoon corner defender. He’s continued to perform much better against right-handed pitching, with increasing platoon splits in 2015. For San Francisco, the month of August has required some injury-driven leak plugging. The club reportedly pursued infield help, including Chase Utley, before adding Marlon Byrd and now De Aza to help account for injuries to outfielders Angel Pagan and Hunter Pence. By squeezing in the deal in advance of midnight eastern time tonight, San Francisco will be able to utilize the veteran De Aza on its post-season roster, if it qualifies. He has now changed teams via trade for the second time this summer and for the third time in the last two seasons. Ysla, 23, turned in a nice season last year as a starter at the Class A level, but has struggled in High-A ball this year. Serving mostly out of the pen, Ysla has allowed 12.3 hits per nine and 4.6 BB/9 while retiring 10.7 opposing batters via strikeout per nine innings thrown. In 79 2/3 frames, he’s worked to a 6.21 ERA. The Giants have designated outfielder Ryan Lollis for assignment, the club announced. His 40-man spot was needed for the acquisition of outfielder Alejandro De Aza. Lollis, 28, received his first big league action this year, but made just 13 plate appearances. He has only seen 500 turns at bat in parts of two seasons at the highest level of the minors, though his .319/.385/.451 Triple-A batting line is better than any of his marks in the lower levels of the San Francisco system. Though he doesn’t have much pop, with just 32 career home runs, Lollis has always hit for a high average and rarely strikes out. He’s split his time about evenly between center and the corner outfield, with occasional work at first base, over his professional career. The Dodgers have acquired outfielder Justin Ruggiano from the Mariners, Ryan Divish of the Seattle Times reports on Twitter. A player to be named later or cash considerations will head back to Seattle in the deal. Ruggiano, 33, has spent much of the season at Triple-A after a slow start to the year. He agreed to an arbitration salary of just over $2.5MM over the winter (with about $465K left to go on that salary), and will be eligible for another arb year if his new club tenders him a contract. While Ruggiano failed to match his productive 2014 in the earlygoing, he wasn’t actually that bad, putting up a .214/.321/.357 batting line over 81 plate appearances. And he’s slashed .296/.385/.514 with ten home runs in 205 plate appearances at Triple-A since being outrighted. 10:54pm: Los Angeles has interviewed both Klentak and Servais but has yet to actually sit down with any external candidates, per Bill Shaikin of the Los Angeles Times (via Twitter). 10:49pm: The Angels have begun interviewing both internal and external candidates for the club’s open general manager position, Jeff Fletcher of the Orange County Register reports. Los Angeles has utilized Bill Stoneman in an interim capacity since the mid-season resignation of Jerry Dipoto. While it’s not known who has interviewed, Fletcher writes that none have past experience as GMs. But Los Angeles will ultimately consider executives with that level of experience. He adds that current assistant GMs Matt Klentak and Scott Servais are likely to garner serious consideration, with the team also looking at a variety of other possibilities from outside the organization. It’s been widely discussed, but bears noting again, that the Angels appear to be uniquely committed to and reliant on manager Mike Scioscia. That situation, which runs somewhat counter to league-wide trends, could well have an impact on the candidates being considered and the ultimate power structure that the organization will employ. Tonight marks the end of the August trade period, and two deals have already gone down today. Clubs that wish to add players from outside their organizations who are eligible to play in the post-season must do so by midnight eastern time. Of course, to be dealt, players must either clear revocable trade waivers or have been claimed by the team that seeks to acquire them. The Cubs are “pushing hard” to bolster their pitching staff before tonight’s deadline, Bruce Levine of 670thescore.com tweets. Chicago has already added several veteran arms over the last few months, but apparently is still looking at possible moves over the next few hours. Meanwhile, the Dodgers have their eye on a relatively minor addition of outfield depth this evening, Ken Rosenthal of FOX Sports reports on Twitter. With several injuries to right-handed outfielders, the club could seemingly stand to put another option on its roster. Giants outfielder Hunter Pence may be progressing more slowly from his oblique injury than had been hoped, Alex Pavlovic of CSN Bay Area tweets. Manager Bruce Bochy did note that there hasn’t been any setback, though Pence may have been hoping to feel better in his light hitting session today, as Andrew Baggarly of the Mercury News adds on Twitter. We heard earlier this evening that San Francisco remained active in the market, with outfielder Alejandro De Aza still on their radar and a continued desire to add an infielder. While he’s now ticketed for Chicago, Austin Jackson drew interest from the Orioles, Jon Heyman of CBSSports.com reports on Twitter. Baltimore has been said to be quite active over the month of August even as they’ve faded in the standings. As things stood before they lost tonight, however, the club was already 5.5 games out of the Wild Card and a full 11 back in the AL East. The Astros are making a huge playoff push, with Chris Carter on their roster. How long will this last? Or will we see Tyler White or AJ Reed take over the helm at 1st/DH? I don’t see Singleton making a big difference in the near future. — Chris S.
Carter will remain on the roster through season’s end due to the fact that rosters expand tomorrow, and the team will at least value having that type of bat on the bench as a pinch-hitting option. I’m honestly surprised they’ve stuck with him as long as they have, but I have a difficult time seeing either of the players you mentioned as a September callup. Neither needs to be protected on the 40-man roster this winter in order to avoid the Rule 5 Draft, and Houston does have quite a few players that will need those precious 40-man spots in order to avoid being selected. White will be Rule 5 eligible in the 2016-17 offseason, so I’d imagine that at some point next year, he’ll have a better shot at cracking the Major League roster — especially with Reed moving up the ladder behind him. Bottom line is that, barring a trade tonight — and it probably wouldn’t be for anyone too exciting — Houston seems likeliest to run with Carter and Singleton down the stretch. With Michael Wacha, Lance Lynn, and Carlos Martinez all already signed for 2016 and Adam Wainwright presumably returning, do the Cardinals do either of the following: Pick up Jaime Garcia’s option or extend a qualifying offer to John Lackey? — Troy K.
The Cards have the four starters you mentioned as well as Marco Gonzales at Triple-A and Alex Reyes in Double-A (to say nothing of free agent options), but I still think they’re wise to take both of the paths you listed. Lackey will be 37 next season, but we’ve seen recent pitchers like Tim Hudson and Bronson Arroyo come off worse seasons than the one Lackey is handing and land sizable two-year commitments. While a QO would hurt Lackey’s market, the superiority of his performance relative to other veterans that have landed lucrative two-year deals should be enough for him to test the market. As for Garcia, he’s injury prone and can’t be counted on for 200 innings, but he’s an $11MM lottery ticket with an ERA just north of 2.00 in just under 100 innings right now. When Garcia is right, he’s one of the more underrated pitchers in the game. Gonzales has had injury problems in 2015 as it is, and Reyes might not be ready until late in 2016. Having Garcia as depth would be beneficial, and exercising the option keeps his 2017 option in play as well, in the event that he has a healthy and productive 2016 season. GM John Mozeliak has indicated that he’s leaning toward exercising the option, and I think only an injury will prevent that from happening. At the top of the season, I would have considered that the Cubs were merely utilizing Dexter Fowler as a stop-gap for Albert Almora. It seems as though Almora’s stock has declined. With Billy McKinney looking one to two years away from making it to the big league team, I was wondering if the recent surge of Fowler(.364 with 7 Extra Base hits over the last 14 games) would prompt Theo to make an attempt to resign Fowler as opposed to chasing players like Parra, Heyward or Upton. With youth on their side, Upton and Heyward appear to be headed towards A-Rod and Cano type money while Parra doesn’t have the track record of Fowler in the batters box or in the field. I was wondering if it appears as apparent to you as it does to me that the Cubs would at least try to retain Fowler on a two year deal. If Fowler isn’t the Cubs CF target, I was wondering who it could be? — Keith S.
The Cubs could go multiple routes. Arismendy Alcantara or Matt Szczur represent perhaps underwhelming internal options. A second stopgap via trade (e.g. Peter Bourjos, Cameron Maybin, Gregor Blanco) could make sense, with the team then holding out for a pursuit of Carlos Gomez following the 2016 season. Present free agents like Austin Jackson and Colby Rasmus could be of interest on mid-range deals. And, the Cubs have the talent to try to pry someone like Aaron Hicks, Jackie Bradley or Dalton Pompey away from their current clubs (though the Twins, Red Sox and Blue Jays would probably all seek pitching, so perhaps those three aren’t ideal examples). What has Ian Desmond’s underwhelming season done to his FA value? Will he be able to top the reported $100 mm deal the Nats previously offered him? — Scott S.
Fortunately for Desmond, there are still 33 games left for him to continue his second-half resurgence. Desmond’s batting .293/.358/.544 with 10 homers and seven steals through 41 second-half contests, and he’s drastically cut down the errors he’d been accumulating. While his overall batting line is still miserable, if he continues at anything close to that stretch, his full-season numbers will at least be passable. In that scenario, his representatives will be able to pitch that Desmond had a rough 87-game patch to open the season before rebounding to his usual self. The case could be made that his first half was merely an aberration, and the preceding three years plus the subsequent two-and-a-half months are what should be expected by a signing team. This is obviously just a hypothetical scenario, but if Desmond’s final 33 games go exactly as his previous 33 contests did (they, of course, will not), he’d finish with a cumulative .243/.299/.414 batting line and a .291/.356/.534 second half. Entering his age-30 season with the case to be made that he has just three lousy months in the past four seasons, Desmond could make a case for a nice contract. But reaching the amount he reportedly turned down — it should be noted that said offer came with heavy deferrals — seems like a reach. Put more concisely, Desmond would need six years to get to $100MM+, and that feels too heavy. I do think five years is in play if he maintains his current pace for the final 33 games, however. The Cubs have designated infielder Mike Olt for assignment, the club announced. 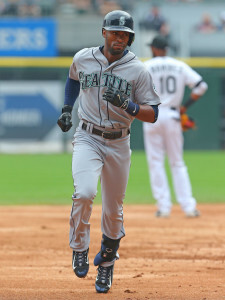 His roster spot was needed for the acquisition of Austin Jackson, which Chicago also made official. Olt, 27, has never regained his trajectory after topping out as a prospect that rated as high as 22nd on league-wide rankings. In the midst of a disappointing 2013 season, he was dealt to Chicago as part of a package deal that sent righty Matt Garza to the Rangers. Vision issues were noted as a cause for concern at the time, and Olt has dealt with a right wrist fracture more recently. Last season represented Olt’s first real opportunity at the big league level, in spite of that rough 2013, but he did not make the most of it. Over 258 plate appearances, Olt swatted 12 home runs but slashed just .160/.248/.356 while striking out an even 100 times. He cracked the Opening Day roster as Chicago’s starting third baseman, but that run was short-lived. Olt suffered the aforementioned wrist injury and was ultimately replaced, as had been expected anyway, by Kris Bryant — after the team was assured of keeping another year of future control. Nevertheless, another team will likely be glad to take a shot on Olt’s upside. He’s always been regarded as a potentially solid defender at third base and has shown plenty of pop in his right-handed bat. And despite his struggles in relatively scant action at the big league level, Olt has hit will at Triple-A over the last two years. In 246 turns at bat there this season, he’s slashed .273/.346/.477. 6:26pm: The deal is now official, with the Cubs making an announcement. 6:20pm: Chicago will cover $1MM of Jackson’s remaining salary, Jon Heyman of CBSSports.com tweets. The Mariners will pay the $430K or so of obligations otherwise left on his deal. 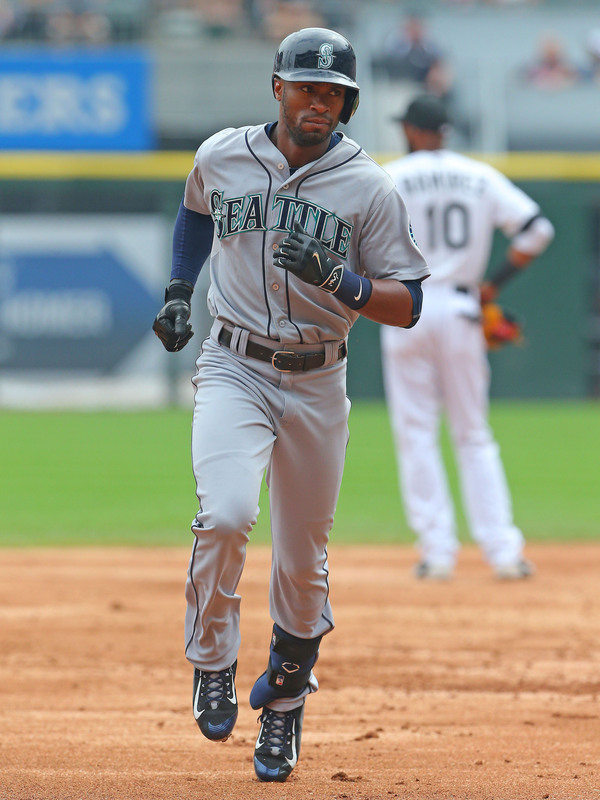 5:04pm: The Cubs have agreed to acquire outfielder Austin Jackson from the Mariners, Shannon Drayer of 710 AM ESPN in Seattle reports (Twitter link). Jackson had reportedly cleared revocable trade waivers, and by adding him today, the Cubs will have the option of utilizing him on their post-season roster. A player to be named later and a $211,100 international signing slot will reportedly head to Seattle in the deal. Chicago also obtains cash to offset some of the remainder of Jackson’s $7.7MM annual salary. Already set to hit free agency after the season, Jackson will end his disappointing tenure in Seattle earlier than had been planned. He was acquired with high hopes last summer in the three-team David Price deal, with the Mariners sending Nick Franklin to the Rays to add the center fielder from the Tigers. Needless to say, things have not worked out for the player or the team. At the time, Jackson was putting up slightly-above-average offensive numbers in Detroit. But he’s been significantly worse with the M’s, slashing just .257/.297/.343 over 684 plate appearances between this year and last. Jackson has contributed only eight home runs in that span as his power has fallen off, and he’s been caught 11 times on steal attempts while successfully taking 26 bags. Jackson remains an approximately league-average defender up the middle. And at just 28 years of age, he still holds at least some promise of more given his quality early-career production. Between 2010 and 2013, Jackson racked up 18.9 rWAR with a .278/.344/.416 cumulative slash, a solid power/speed mix, and defensive ratings that ranged from good to excellent. Mariners interim GM Jeff Kingston explained that there was relatively little interest in the veteran this month, as Ryan Divish of the Seattle Times notes on Twitter. While there had been an outside chance that the club would hold onto Jackson and make him a qualifying offer, that is no longer an option with the mid-season trade. That seemed at least plausible given Jackson’s age, but it seems that Seattle decided against the risky move and chose instead to get what it could for him now. For Chicago, Jackson represents another right-handed-hitting outfield option as Jorge Soler deals with an oblique injury, though it’s worth noting that he traditionally carries fairly neutral platoon splits. It certainly doesn’t hurt that Jackson can play in center, but he seems unlikely to take much time from the switch-hitting Dexter Fowler, who traditionally performs better against left-handed pitching. While Jackson is still owed about $1.43MM of salary this year, at least some of that obligation will remain Seattle’s responsibility. MLB.com’s Greg Johns first suggested an international slot may be involved (via Twitter), as to which Jon Heyman of CBSSports.com (via Twitter) and Ryan Divish of the Seattle Times (also via Twitter) provided details. Divish first reported that a PTBNL was part of the return (on Twitter) provided details. The Giants are still active in the run-up to tonight’s deadline to add players from outside the organization who will be postseason-eligible, according to Ken Rosenthal of FOX Sports (via Twitter). San Francisco continues to discuss outfielder Alejandro De Aza with the Red Sox, per the report, but is more interested in acquiring an infield option. A potential match between those clubs on De Aza was reported about a week back by Nick Cafardo of the Boston Globe. As he explained then, San Francisco felt the asking price was too steep at the time the original discussions occurred, and it was not entirely clear whether talks had continued after the Giants’ acquisition of Marlon Byrd. Of course, unlike Byrd, De Aza is capable of playing center and hits from the left side. Meanwhile, the Giants were also said to be seeking infield depth and made a run at Chase Utley. It’s unclear precisely what type of player might be pursued at this point, but second baseman Joe Panik remains something of a question mark as he works to return from back issues. The Diamondbacks have designated righty Kevin Munson for assignment, Zach Buchanan of AZCentral.com tweets. Munson is a 26-year-old reliever who has yet to see MLB action. After being by the Phillies in last year’s Rule 5 draft, Munson was sent back to Arizona in mid-March. Since that time, he’s posted some uneven results at the Triple-A level. Munson looked like a future piece last year, running up 62 1/3 innings of 2.60 ERA ball with 11.8 K/9 against 3.2 BB/9. But he’s reversed course in 2015 after experiencing arm soreness in the spring. Over his 31 1/3 frames at the highest level of the minors, Munson has issued 7.2 walks to go with only 8.6 strikeouts per nine while accumulating a 4.60 earned run mark.